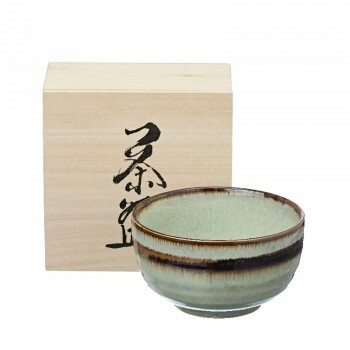 "Japanese powder green tea ,produced by grinding only the buds and the first two leaves of a special cultivar of Camellia Sinensis, shaded for around 20 days before plucking.The special manufacturing process of includes steaming to stop any oxidation process .The result is a brilliant green powder with a very pronounced taste , traditionally used in Cha-no-yu ,the Japanese tea ceremony , but also as refine ingredient in drinks,cakes,ice cream and savouries. 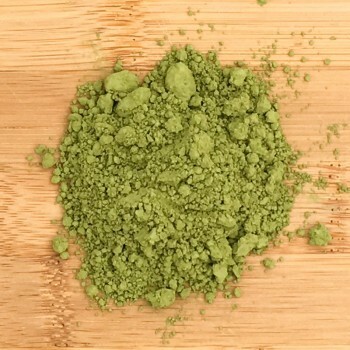 Rich in vitamins, anti-oxidant compounds and caffeine , the Tsuru grade is expecially suitable as food ingredient. 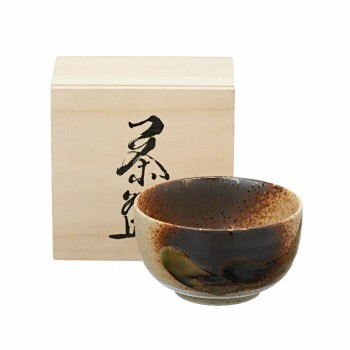 Beautiful artisanal stoneware tea bowl, perfect to enjoy Matcha green tea. Simplicity and elegance are the hallmarks of ceramics Japanese and the different shades of color are obtained with oxides and wood ash in a unique way. 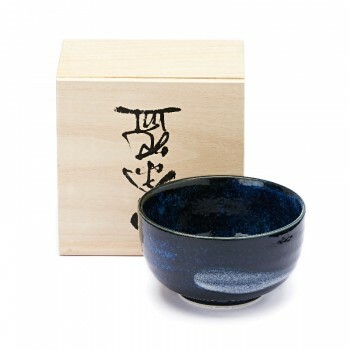 The nice wooden box that hold the set makes it precious gift for all tea lovers. 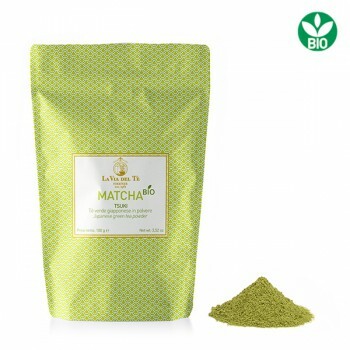 The Mat-cha is an extremely energetic green tea, rich in vitamins and minerals but also in caffeine. 1.5 gr. for 150 cc. of water at the temperature of 70 ° / 75 °. Use a large, low cup and bamboo beater, Chasen to froth the tea powder. Combined with adzuki sweets (Japan), with almond paste sweets and surprisingly paired with white chocolate. Traditionally, first you eat the dolcetto and then you drink tea. It is used to give scent and color to many savory dishes and refined desserts.